On the 18 March 1965, cosmonaut Alexei Leonov became the first person to walk in space. This project illustrates an imagined anxiety dream of Alexei's prior to the day he climbed out of his space capsule. These illustrations show Alexei fall back down to Earth and splash into the ocean. 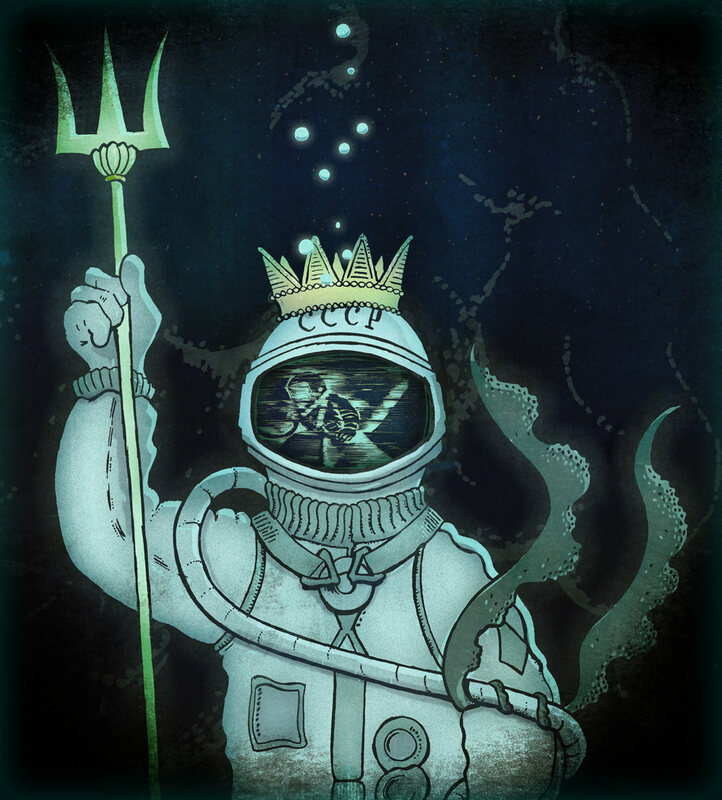 He sinks down to the ocean depths where he is enveloped by hydro-thermal vents and transforms into Neptune. 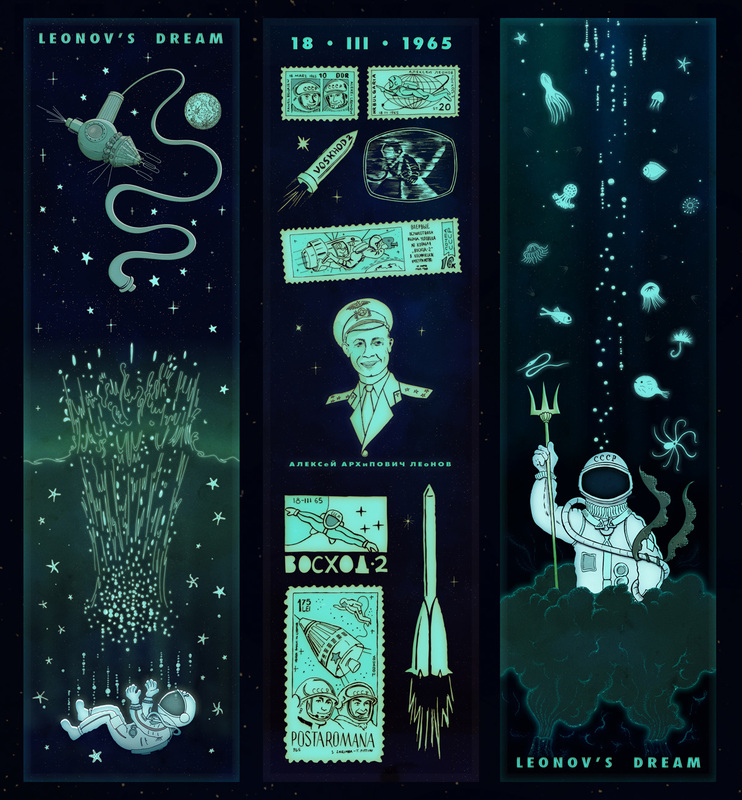 The third illustration celebrates his monumental achievement and includes drawings of the various stamps that were produced in his and in his co-pilot, Pavel Belyayev's honour. ALEXEI LEONOV. FIRST PERSON TO WALK IN SPACE. 18 MARCH 1965. 'What struck me most was the silence.